The Ten Tenors bring their âHome for the Holidaysâ tour to the Vilar Performing Arts Center on Friday, Dec. 23. When: 7:30 p.m. Friday, Dec. 23. Cost: $78 for adults and $48 for children. BEAVER CREEK — The Ten Tenors, one of Australia’s most successful touring entertainment groups of all time, will perform at the Vilar Performing Arts Center on Friday at 7:30 p.m. as part of the venue’s holiday series schedule. Following 17 years of touring across the globe, as well as 2,000 of their own headline concerts, The Ten Tenors bring their critically acclaimed style of classically based contemporary music to Beaver Creek. The Vilar Center caught up with Ten Tenors member JD Smith to talk about life on tour and what it’s like not to be home in Australia for the holidays this year. Q: How did most of The Ten Tenors get into music? Did any of you start off playing instruments and then go to vocals? A: We all come from a variety of backgrounds in music and performing. Some of us have trained and performed as opera singers from an early age, while others have worked in musical theater and pop. A few of us, including myself, started off singing and playing guitar/instruments, and it grew from there. Singing is something I have done for as long as I can remember. My first paid gigs were when I was 14, and I played guitar and sang covers/originals in golf clubs and other events. Q: What will you miss the most about home as you are on tour for the holidays? … A little ironic the tour is called “Home for the Holidays,” huh? A: My wife! Yes, it is a little ironic that we are an Australian group touring in a show called “Home for the Holidays” here in the U.S., when we won’t actually be “home” for the holidays. The U.S. treats us so well when we’re over here touring. We love meeting our audiences and the lovely folk behind the scenes at all the theaters — it almost feels like we are home. Q: “Home for the Holidays” features some epic holiday tunes; any particular one that is your favorite? Any that you’ve gotten sick of? A: “Feliz Navidad” is a fun song to perform. Vocally, there are some really awesome moments and also we get to dance a little. The audiences love it. There aren’t any songs that I’m particularly sick of singing, and there are songs that are more challenging when we are vocally tired, but the Christmas spirit overrides that. A: I am a pop-rock singer, so I love singing Queen’s “Somebody to Love.” I get a great moment in that song to belt it out. Q. What is your current favorite artist or band? What is on your iPod? A. I love Bruno Mars’ new album at the moment and Alicia Keys’ new album. I have such a variety and mix of music on my iPod, lots of old-school bands like Fleetwood Mac, The Eagles and Van Morrison. I also love John Mayer, Kings of Leon and Maxwell. I’ll pretty much listen to most any music. Q: Who are some of the more memorable audiences you’ve performed for? A: The Ten Tenors performed for Morgan Freeman a couple of years back. Last year, we performed for tennis legend Rod Laver. Each audience is important, and no matter who is in the audience, we always give it 100 percent. Q: You’ve partnered with some pretty big names (Andrea Bocelli, John Travolta, Keith Urban, Rod Stewart, Alanis Morissette, Willie Nelson, Christina Aguilera, etc. ), any that meant the most? A: I think our partnering with St. Jude Children’s Research Hospital means the most to us. We had done a similar collaboration with a children’s charity in Australia called The Children’s Hospital Foundation, and it was so rewarding, better than anything we had done before, so our management set about finding a charity to support in the USA. St. Jude Children’s Research Hospital is an incredible place (in which we are so lucky to have visited); they are leading the way in research and treatments and in defeating childhood cancer. All profits from our album “Our Christmas Wish,” which we are partnering with Amazon, will go directly to St. Jude Children’s Research Hospital. Our goal is to save lives and prevent more children from getting sick, so we would like everyone to go to http://www.amazon.com and buy a CD for themselves and for every single stocking they need to fill. Q: What brought The Ten Tenors together initially? 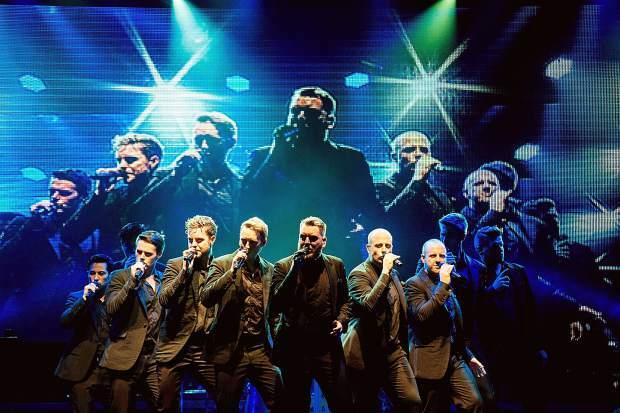 A: The Ten Tenors started in Brisbane, Australia, 20 years ago. The initial Tenors were a group of voice students who decided to join together and perform at events around Brisbane. The performances were so successful The Ten Tenors became a breakthrough act around Australia, before storming the international stages of the world. Unfortunately, there are no original members still in the group. The constant touring and Ten Tenor lifestyle does not really lend itself to normal relationships or the family life. Previous members have left to get married, have families and move on to other areas. The group has had such a wonderful history, and it is extremely special being a current member. Q: What classical song versus pop song do you currently perform that moves the audience? A: “Nessun Dorma” always moves the audience. We often perform this song near the end of the show — it’s beautiful. Q: What factors do you think have helped the most in keeping the group together and successful? A: There are many factors. I think it stems from our fantastic management; they have an inspiring and enthusiastic hands-on approach to the group and always find new, exciting projects for us to work on or with. Also, our crew and band, whom we are blessed to put on spectacular shows with due to top-notch lighting and sound guys and a world-class band. Also, of course, us. We enjoy what we do, we work hard, we sing hard, and we perform with our hearts on our sleeves every night. Q: Rock, pop and opera … what is your favorite to sing? Which is the most challenging? A: I love the rock-pop songs, but I also love singing classically. The most challenging for me are songs in other languages. Q: What do you guys do for fun when you’re not making music? A: I’m constantly writing songs and singing. It’s my work, but it’s also my biggest passion. I love recording, I could spend all day, every day in the studio. I love spending time with my wife, friends and family. I also love getting outside in my yard and just doing “normal” life things when I’m not on tour. On our days off on tour, we tend to do a lot of sightseeing and resting. We recently all visited Disneyland in Southern California and had a blast.